with ample humor and a mainline jolt of testosterone." 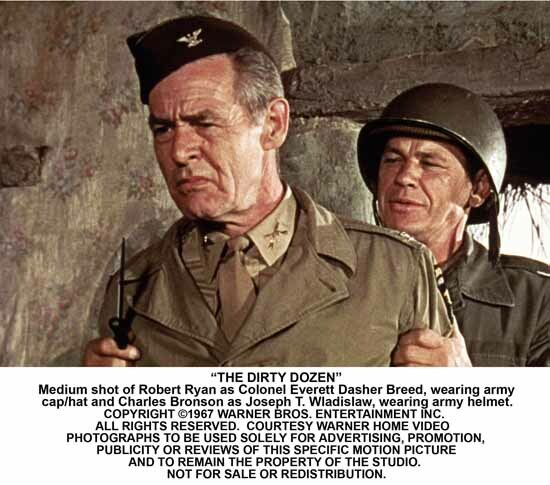 Burbank, Calif. February 13, 2006 -- On May 23, the action-packed World War II thriller The Dirty Dozen will arrive as a Two-Disc Special Edition from Warner Home Video. Lee Marvin, along with Charles Bronson, Ernest Borgnine, Jim Brown, Trini Lopez, Telly Savalas, Donald Sutherland, George Kennedy, Clint Walker and John Cassavetes (nominated for a supporting actor Oscar) head the all-star macho cast which was directed by Robert Aldrich (Hush, Hush Sweet Charlotte, The Longest Yard). The new DVD features a newly remastered print and, for the first time, a 16x9 format (enhanced for widescreen televisions), and will be available just in time for Father's Day on DVD for $26.99 SRP. 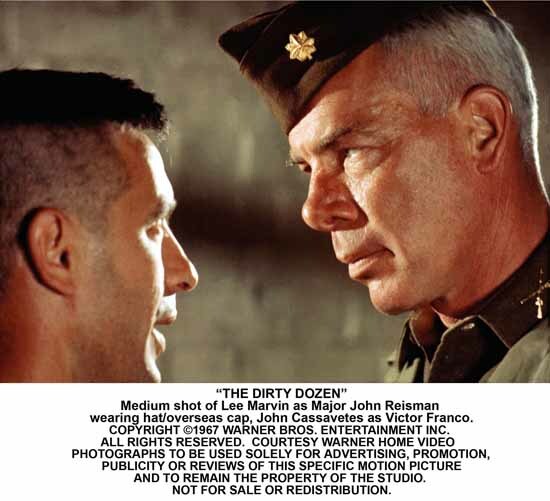 Nominated for four Academy Awards, The Dirty Dozen remains a milestone among ensemble action flicks. It was a mega-blockbuster when it was released theatrically, winning one Oscar (Best Sound Effects) and becoming MGM's biggest moneymaker of the year. Since then it has gone on to sell more than 2 million video units to date. 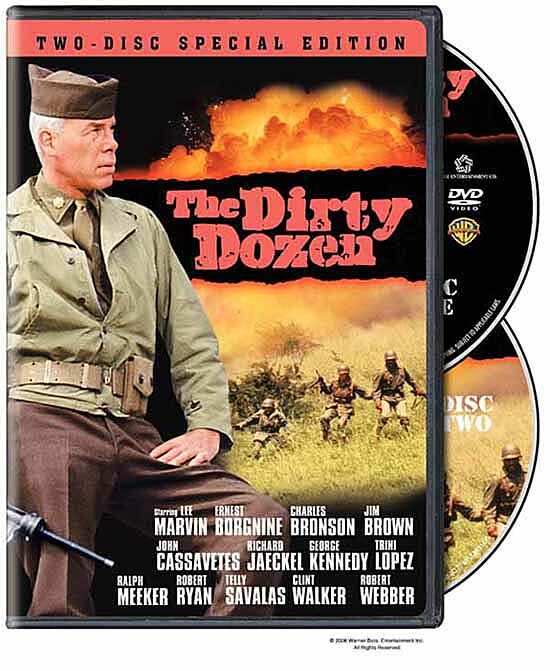 This Two-Disc Special Edition bursts with extras, including the DVD premiere of the 1985 sequel, The Dirty Dozen: The Next Mission, with Lee Marvin, Ernest Borgnine and Richard Jaeckel reprising their original roles. There are also two new documentaries plus a vintage documentary and commentary by original novelist E.M. Nathanson, film historian David Schow and veteran military advisor Capt. Dale Dye with Jim Brown, Trini Lopez, Kenneth Hyman, Stuart Cooper and Colin Maitland. Lee Marvin portrays tough-as-nails Major John Reisman, assigned to command a squad of misfits on a suicide mission against Nazi brass on the eve of D-Day in occupied France. With no other chance for redemption, this group of convicts, psychos, lunkheads and losers will earn their freedom -- IF they can survive. Filled with explosive excitement, military grit and anti-authority gibes, The Dirty Dozen has become a classic of the war-movie genre and earned a rightful place on the AFI list of "100 Years...100 Thrills."